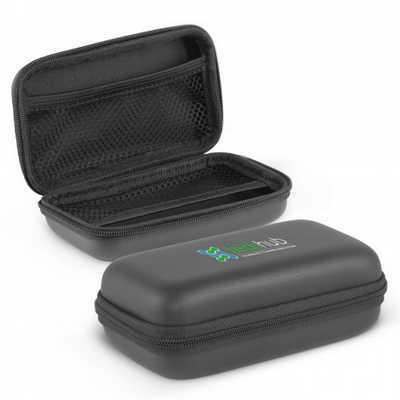 Large EVA carry case designed for storing a power bank along with cables and accessories. It will hold the Dalek, Edison, Electra, Flare Torch, Hypertron, Megatron, Optimus, Phaser, Pulse, Sabre, Tesla, Theta, Zion, Bamboo, Proteus 2000, Proteus 3000, Vader and Photon power banks. Colours: Black. Dimension: L 139mm x W 80mm x 50mm. Print Description: 65mm x 30mm. Print Type: Pad Print. Packing: Loose packed. Price includes : 1 Col 1 Pos Print. Setup is included.